At Open Door, you’ll probably pass a few diners wearing designer clothing on your way to the Art Deco-inspired central bar. Eavesdrop on table conversations and you may hear chatter about skiing trips or stints in European summer homes. Open Door is in a classy neighbourhood on Constantia Uitsig wine farm, where people tend to have time and old money. The farm dates back to 1685, when the Verenigde Oostindische Compagnie (VOC) Governor of the Cape, Simon van der Stel, was granted a tract of land. Current Uitsig owner, Pieter Erasmus, bought the farm in 2014. Open Door opened in the former Spaanschemat River Café building in May 2015. The surrounding views are still of mountains and distant vineyards. But, when it comes to the restaurant, there is a fresh direction and a modern South African food- and wine offering. Open Door co-owner, Neil Grant, roped in executive chef, Annemarie Steenkamp, for the challenge. First, they opened hip Italian restaurant Burrata in industrial Woodstock in 2012. Then came Bocca, in central Cape Town, towards the end of 2014 – a buzzier, urban, split-level pizzeria offering innovative shared plates. An experienced restaurateur and sommelier, Grant loves talking about wine labels and has a great manner with customers. He cut his teeth working in overseas- and South African restaurants and wine retailers, before he joined chef David Higgs in opening Rust en Vrede’s fine-dining winelands restaurant. Annemarie, who used to work as sous chef to Margot Janse at Le Quartier Français in Franschhoek, is enjoying her new creative freedom: “There’s no style of cuisine that I have to stick to at Open Door, which is a change from our other two restaurants. I can use ginger and soya sauce now, instead of sticking to only Italian ingredients like capers and anchovies.” A small café menu offers classic daytime favourites, from chicken Caesar salad using kale, to creative line-fish interpretations or popular burgers. Otherwise, the same single-paged à la carte menu is on offer to lunch- and dinner customers. So, to start, you could enjoy cured tuna gravlax with fresh notes of lemony avocado purée, with a hit of salty, crunchy warmth from a green-olive beignet, served with radish and slivers of celery salad. Or, have fun with the clever vegetarian roasted pumpkin. It arrives with a delightful curried fritter squiggle, which you dip into a pumpkin purée, a spiced seed crumble and a buttermilk-labne blob with crispy ginger strips. Tasteful decor incorporates wooden tables and midnight-blue upholstery. Once a schoolhouse, before it traded as Spaanschemat River Café, the redesigned restaurant has timeworn touches in repurposed beams decorating alcoves. Original brass handles and hooks now form decorative detail on a charcoal-toned wall. Tall sash windows show off stately trees, and a long kitchen table can be booked for a lively group keen to eat adjacent to the open-plan kitchen. “When we’re busy and all shouting, I always feel sorry for those sitting at our ‘kitchen table’, but they seem to love it,” Annemarie chuckles. “I don’t have to focus on a particular cuisine now. Instead, I’m focusing on balancing dishes: using pickles or lemon juice for the acidity,” she continues. “With our venison, we do pickled cucumber balls to break through the richness of the lentils, sweet potato and rich, meaty cranberry jus.” The balls are an unexpected burst of freshness. Annemarie’s subtle stamp is also evident in an inspired open lasagne, served with a tumble of exotic mushrooms. A Tokai-forest local forages pine rings and ceps, and delivers a basket once a week. “Our waiters have to tell diners it’s not a traditional lasagne,” she explains. The pasta sheets sit on a pool of silky, creamy vichyssoise soup; the mushrooms topped with a crunchy Parmesan crisp. “Two nights ago, one of our guests said it was the smartest lasagne he’d tried,” she smiles. The separate outdoor deck is a recent addition. You can breakfast on a boiled duck egg with soldiers, or a home-made coconut and seed granola with dried fruit and beetroot yoghurt. Its nature-inclined setting means you will probably want to stick around for tea with pastry chef, Christine de Villiers’ granadilla cheesecake. Open Monday – Saturday (breakfast, lunch and dinner) and on Sunday (breakfast and lunch). Open Door, Constantia Uitsig, Spaanschemat River Road, Constantia; 021-794-3010;opendoorrestaurant.co.za. 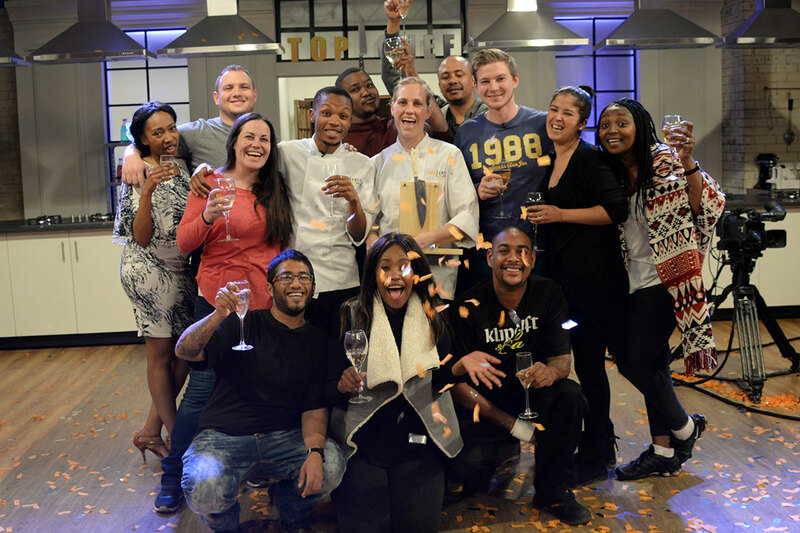 In an exhilarating finale of Top Chef South Africa on SABC 3 on the 4th of October 2016, Annemarie Robertson was crowned South Africa’s first ever Top Chef. The cheftestant, who quickly stood out as a firm favourite to win with her perfectionist ways, not only beat thirteen other established chefs to the coveted title, she has also walked away with R100 000 in prize money.